Catfish and The Bottlemen’s third album will be titled The Balance, set for release on Friday 26th April via Island Records / Caroline Australia. In a rush of confirmations following the successful release of new single, ‘Longshot’, earlier this month, it’s now known that the new album release will be closely followed by a run of live shows across UK and Europe. See album tracklist and cover art below. 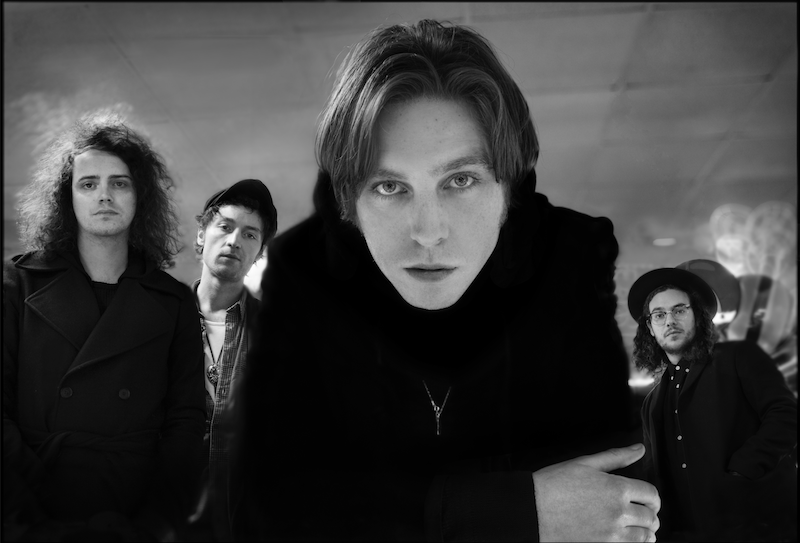 In the breaks between electrifying outdoor and festival shows in 2018, including Australia’s own Falls Festival over the New Year, Van McCann (vocals, guitars), Johnny Bond (guitars), Robert ‘Bob’ Hall (drums) and Benji Blakeway (bass) retreated with Irish producer, Jacknife Lee, to carefully craft The Balance over a 12-month period. Recorded in seclusion at two locations:Grouse Lodge, in Moate, Republic of Ireland, and The Chapel in the countryside of East Lincolnshire, the band lived and breathed the album while residing together in rural isolation. The album was mixed by Craig Silvey. In addition to the album name and familiar, one-word song titling, the creative bridge between 2014’s platinum-certified debut, The Balcony and it’s gold follow up, The Ride, has been reinforced by Catfish returning to San Francisco-based, graphic artist, Tim Lahan to provide cover artwork for a third time. The playful, monochromatic line drawing of a drinking toucan provides observers with no shortage of mystery to unravel as to the artwork’s inspirations and significance. New album The Balance follows 2014’s platinum-certified debut, The Balcony and Top 10 ARIA Chart successor The Ride (2016), including lead single ‘7’, which hit Gold status in Australia last April.